They've found the killer. The killer that Detective Sam Porter has been hunting for five years. But it's too late to put him behind bars. He's already dead. But even death can't stop this murderer. His last victim is still alive, struggling to escape and the police have no idea who or where she is. 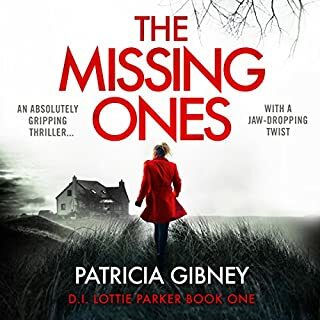 This stunning thriller is perfect for fans of Val McDermid, Jo Nesbo and Helen Fields. 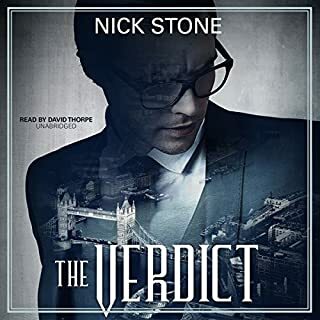 The book is a thrilling and gripping listen that will keep you on edge until the very end. 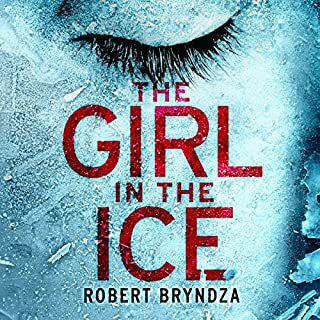 The author using an unusual style writes about a serial killer who kidnaps a 15-year-old girl and keeps her hostage in a total abyss. The captor is known to the police as the “4MK” killer because his technique subscribes to the pictorial maxim exhibited by the “Three Wise Monkeys,” plus one. The writing is unusual because the author dedicates the chapters to the police hunt followed by a chapter consisting of the killer's diary throughout the book with few exceptions. The diary is designed by the killer to offer clues to the police. In essence, the “4MK” killer is out to punish certain people he believes committed egregious crimes. His method of operation is to kidnap someone close to the perpetrator and then sends body parts to that person in the form of tongues, eyeballs, and ears. In the past, he then kills the victim. The book presents the classic rush to save the victim before she is killed or injured (too much). The author weaves in familiar Chicago landscapes and buildings throughout—at times, this novel reads like true crime. The twists and turns will keep you listening fast. I highly recommend this book. Loved the villain-both in concept and in execution. Loved the device of two time-separated storylines, implemented far better than the seen-it-before norm. And loved the use of two narrators to distinguish these two timelines. I look forward to the next installment with no small amount of relish; we may have a truly significant character here. Here's hoping. What a great read. Thoroughly enjoyed it from start to finish. Loved the suspense and concurrent storylines. Gripping narrative. Dark and twisting. I was hooked from the start and with each turn of the page became more and more obsessed. I could NOT put this down! A good start to a new series. 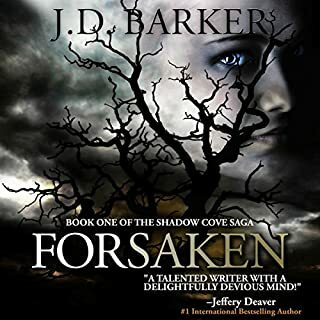 J D Baker has written a fast paced book that kept me interested until the end. Narration was also OK and I'll listen to the next one in the series. Top of the second tier or bottom of the top tier. Fasten your seat belt as this book is a very bumpy ride. Goes back and forth between eras and characters as the plot develops on two parallel paths : on one (the present) the focus is on the police collecting clues and hunting a serial killer and on the other (the past) you've the killer's diary that gives the insight on how he turned into a monster. If you're a fan of the serial killer genre you're going to love this book.. Barker's writing style is a bit particular and dark, but suits the general atmosphere of the story. Loved it. It kept me guessing throughout. The description makes you feel like you are there. 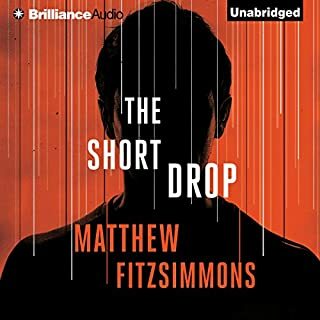 Interesting noir detective story, that has enough twist and dark humour to keep the interest going without being too exploitative. Good entertainment that was smart and well developed within its kind. I came to the end of this book not sure how I felt about it. there is no question that it's disturbing throughout, so a little draining. the performances are good and there is variety to the story. .. but if you are squeamish I would give this one a miss. Very well written and excellently narrated. A pretty gruesome twist on the world of serial killers, psychopaths and sadists. The interaction between characters, especially within the “family” unit is at times comical and at other times shocking. Its a very clever story that has a number of twists that surprise. Definitely worth a credit. Spine chillingly good! I loved every minute of this book, great characters and plot. Bravo! My first J D Barker book but definitely not my last. I have the utmost respect for authors who write books that include police officers who enjoy a relationship of mutual respect, friendship and shared goals. I am tired of reading about officers of the law who are so busy wrecking their colleagues investigations, personal lives and career ambitions they don't have time to look into any crime. I thought the connection between Porter, Nash and Claire (Bear) was credible and compelling. The villain, 4MK, was evil and repugnant, his crimes grisly and deranged - I loved it! An completely compelling and absolutely absorbing book that, even at a massive 12 and a half hours, was over far too quickly for me. Excellent narration from Edoardo Ballerini and Graham Winton. I will be looking out for more J D Barker. If you're not squeamish and appreciate your police officers working together harmoniously, this is the book for you. Most definitely recommended. 5 stars from me. Mr James Patterson commented on the front cover of the book that he thought it was ingenious. I am not qualified to add anything further. Having just finished this brilliant book all I can say is I wish I had bought it much much sooner. It's a very clever story, narrated perfectly. It's one for the library you can listen to multiple times with great pleasure and pick up something new. I seriously recommend it. Gore yes, dark yes, interesting storyline some of the time....found this book to be a big disappointment. Just didn’t like the ‘diary’ chapters and the way they were written. It didn’t grab me and I smelt the ‘bad egg’ easily. I finished it but I won’t run out and get the next one. This is the first book that I have listened to by this author. Pretty dark, and vivid descriptions. Narration was good also. Well worth a read/listen. This was a very disappointing book. The premise on which the actions of the main criminal character were based were so gory and violent and so unlikely to occur as to make the whole book unbelievable. I wanted to stop reading many times but thought I should get to the end to be fair to the author. I’d say more but don’t want to spoil it for those who might still want to read it. Suffice to say I was left with more questions than answers and won’t be reading anything else by this author. I’m just sorry I wasted my time listening to this. It took a few chapters to fall into the rhythm of the story but when I found it, boy did the story take off. An original plot with unusual depth. Where the author found these characters and their stories is anyone’s guess and don’t expect Barker to hold back on graphic details victims endure at the hands of a truely twisted protagonist. It was not until I listened to Barkers follow up work The Fifth To Die that I fully realised the brilliance of character Anson Bishop and in particular his diary - the fact that Barker pulled this off and made it so believable has me in awe. This Audible title has been my most liked to date (can you tell? ), and the follow up didn’t disappoint either. Well written, and edited (if you read my other reviews you will see poor editing is a bug bare of mine), it set a reasonable pace, the characters were believable and Barker left enough for the listener to hypothesise about characters for themselves. 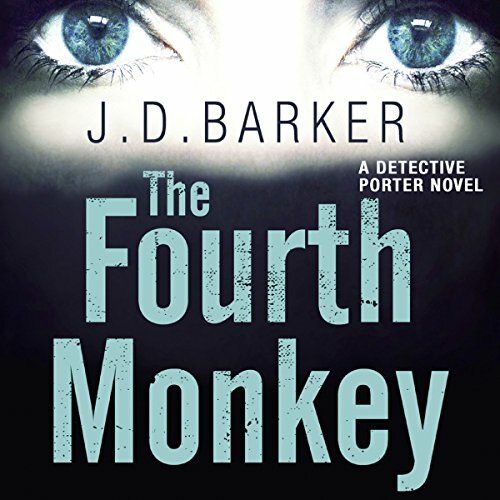 It was a pleasure to listen to The Fourth Monkey, and to soak in every detail/hint/clue the author provided, instead ‘binge listening’ in an effort to end the suspense. My hope is that Barker continues to write for grown ups and that he does not choose the path of least resistance and begin dumbing down his cracking tales. If done right, this would be an awesome movie. Shout out to the narrator who made the childhood diary of Anson Bishop sooo believable, and who never got in the way of a good story. Great story. Beautifully read. Main characters are well developed. Enough humour to counterbalance the violence. Loved this book! Once finished, I promptly started it all over again. Didn’t want it to be over. 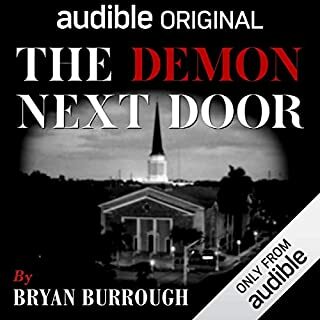 Looking forward to the sequel being available on Audible.